Al –Suhaimi Holding Company was established in 1921 by the late Shaikh Abdulrahman Al- Suhaimi and his late brother Shaikh Mohammed Al Suhaimi, they started as a small trading company in Jubail –Eastern Province, Kingdom of Saudi Arabia and in Kingdom of Bahrain. The company was first involved in foodstuff and building material trading. Within two decades, its activities has developed to include real estate sector, import and sales of new products, and drilling of artesian wells services to which the province was in a real need. After opening King Abdul Aziz port in the year 1950, the company had moved its offices to Dammam whereas its business had expanded gradually to include in addition to its previous activities the sector of tiles, marble, dyes and paints as well as other services and products. 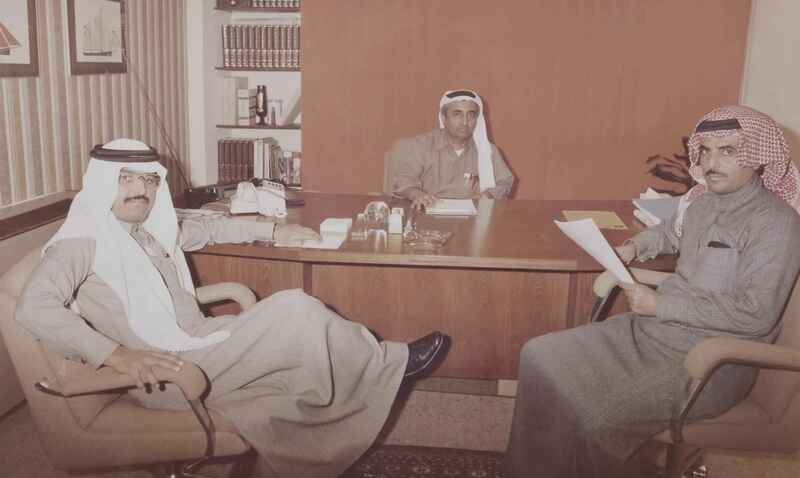 A new area of challenges began when Sheikh Abdul Aziz Abdul Rahman Al Suhaimi, Sheikh Khalid Abdul Rahman Al Suhaimi, Sheikh Sulaiman Abdul Rahman Al Suhaimi and Sheikh Ahmed Mohammed Al Suhaimi started their success chapter along with the founders. The decision was to develop new tactics that aim to invest in attracting efficient and professional foreign expertise, which has placed the company as a market leader that bears the responsibility of taking a major role in writing new lines of glory and achievements that push our beloved country forward. This is outstanding success story was founded by Sheikh Abdul Rahman Al Suhaimi who set an intelligent strategy focusing on income diversification by establishing new deliberately studied entities along with partnership with international foreign companies in the industrial and the construction sectors. Today the company leaders with the expertise of its pioneers came to realize the importance of continuing the journey and build for more growth and expansions; depending on the latest technologies and the adoption of development standards and modernization as approved by modern management theories.Since then and for more than ninety years, Al Suhaimi Holding Company has been playing an important role in the economic development of the Kingdom of Saudi Arabia. At, Al Suhaimi Holding, we believe in our roots and build for our future enlightened with renewed promising vision.